Easily share the analysis you’ve created in your worksheets through a custom Dashboard. 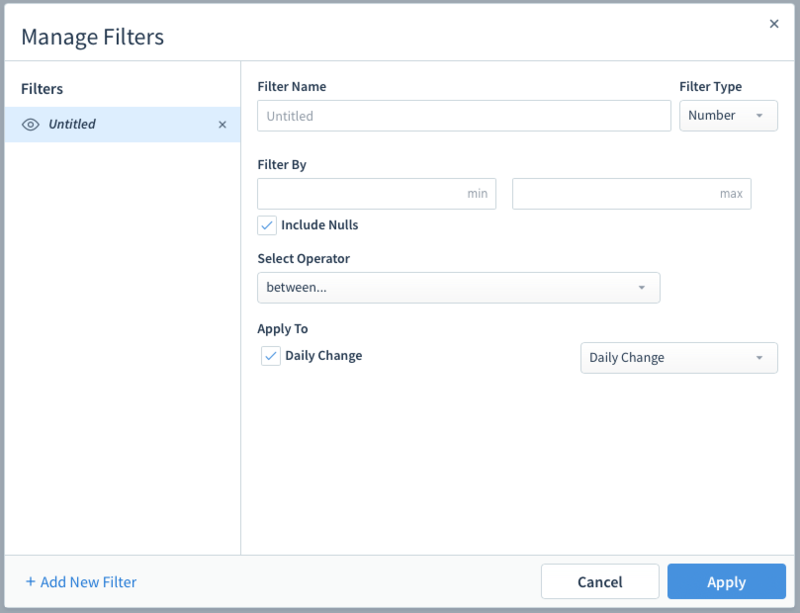 Insert your custom visualizations from your worksheets, create custom filters so your peers can explore the data directly on the dashboard, and set how often a Dashboard refreshes. Click the plus sign on the left hand navigation bar. Choose New Dashboard then name your dashboard. Click 'Add Visualizations' to add more charts. Click and drag the lower right hand corner to resize your visualizations. Click Add Filter to add an interactive filter to your charts. 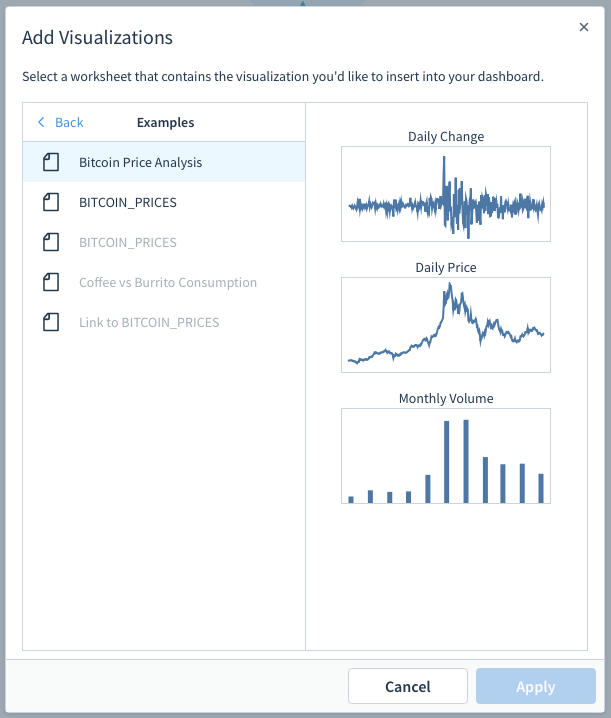 You can filter by text, number, or date and filters can affect multiple charts at once. Date filters can be between set dates of relative dates, like the previous month or week. Once you add your filter, all viewers can filter data directly from the dashboard. To set an automatic refresh time for your Dashboard, click Auto Refresh, and choose how often to update the data. Choosing never means that the data will only refresh when you load the dashboard. Refresh settings are generally only used if the dashboard will be displayed on a screen. When you're finished editing, click publish in the upper right hand corner to publish your dashboards. Share your dashboard with your team!